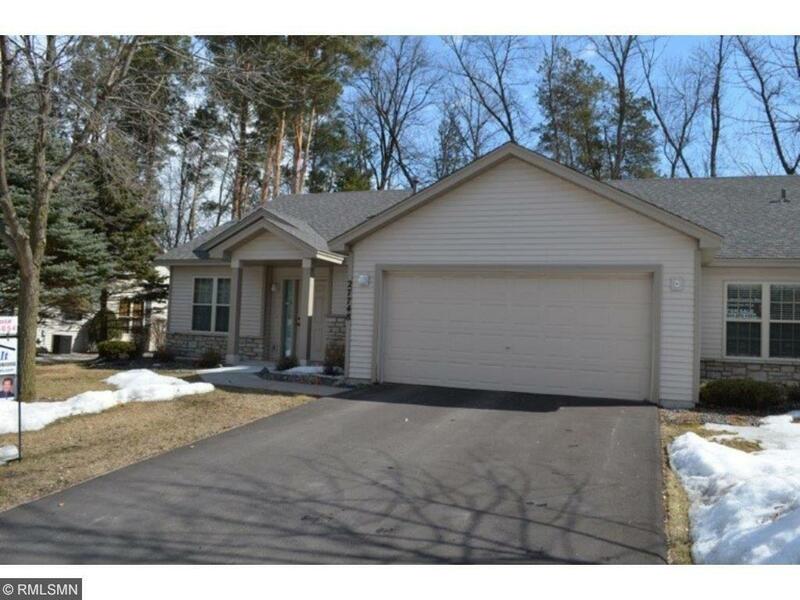 27748 Woodland Drive Chisago City, MN. | MLS# 4934823 | Chisago City MN Real Estate for sale and surrounding Chisago Lakes homes for Sale. Chris Dubose from the Move It Real Estate Group can help you buy or sell real estate in the CHisaog Lakes area, Chisago County, Washington County and NW Wisconsin. Highly desirable, single level, end unit in Ridgepoint development with 1000+ feet shared access to Green Lake. Docks are available. Well kept with sunroom addition and no unit across street. Walking distance to Camp Ojiketa Regional Park. Association maintains the dock, shoreline, lift to dock, and a very nicely built clubhouse with kitchen, fireplace, and lots of room for entertaining the family for holidays. Green Lake has good clarity and great fishing.